This web site (“www.ijgrr.org”) is owned and operated by “International Journal of Graduate Research and Review”, hereafter may be referred as IJGRR (”IJGRR,” “we,” “us” or “our”). IJGRR reserves the right to change, modify, add or remove portions of these Terms and Conditions in its sole discretion at any time and without prior notice. Please check this page periodically for any modifications. Your continued use of this site following the posting of any changes will mean that you have accepted the changes. Share- copy and redistribute the material in any medium or format. 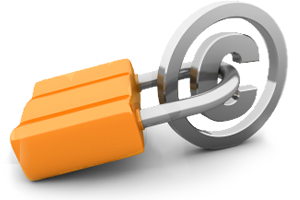 Minimum restrictions- The published articles come under CC-By license agreement, whereas, design of website & other data are fully restricted. You may not use the services on the site to publish or distribute any information (including software or other content) which is illegal, which violates or infringes upon the rights of any other person, which is abusive, hateful, profane, pornographic, threatening or vulgar, which contains errors, viruses or other harmful components, or which is otherwise actionable at law. IJGRR may at any time exercise editorial control over the content of any information or material that is submitted or distributed through its facilities and/or services. You may not, without the approval of IJGRR, use the site to publish or distribute any advertising, promotional material, or solicitation to other users of the site to use any goods or services. For example (but without limitation), you may not use the site to conduct any business, to solicit the performance of any activity that is prohibited by law, or to solicit other users to become subscribers of other information services. The Site may contain hyperlinks to other sites or resources that are provided solely for your convenience. IJGRR is not responsible for the availability of external sites or resources linked to the Site, and does not endorse and is not responsible or liable for any content, advertising, products or other materials on or available from such sites or resources. Transactions that occur between you and any third party are strictly between you and the third party and are not the responsibility of IJGRR. Because IJGRR is not responsible for the availability or accuracy of these outside resources or their contents, you should review the terms and conditions and privacy policies of these linked sites, as their policies may differ from ours. Neither IJGRR, its affiliates, nor any third-party content providers or licensors makes any warranty whatsoever, including without limitation, that the operation of the Site will be uninterrupted or error-free; that defects will be corrected; that this Site, including the server that makes it available. The site is free of viruses or other harmful components; as to the results that may be obtained from use of the Content or other materials on the Site; or as to the accuracy, completeness, reliability, availability, suitability, quality, non-infringement or operation of any Content, product or service provided on or accessible from the Site. This site and all content, products and services included in or accessible from this site are provided "as is" and without warranties or representations of any kind (express, implied and statutory, including but not limited to the warranties of title and non-infringement and the implied warranties of merchantability and fitness for a particular purpose), all of which IJGRR disclaims to the fullest extent permitted by law. Your use of the site is at your sole risk. Neither IJGRR nor any of its affiliates or licensors shall be liable to you or anyone else for any loss or injury, caused in whole or part by its negligence or contingencies beyond its control in procuring, compiling, interpreting, reporting or delivering information through the site. In no event will IJGRR, its affiliates or licensors be liable to you or anyone else for any decision made or action taken by you in reliance on such information. IJGRR and its affiliates and licensors shall not be liable to you or anyone else for any damages (including, without limitation, consequential, special, incidental, indirect, or similar damages) even if advised of the possibility of such damages. IJGRR neither endorses nor takes responsibility for any products, goods or services offered by outside vendors through our services or advertised on our system. IJGRR aims to keep the Site available twenty-four (24) hours a day, seven (7) days a week and to maintain saved information. However, due to technical failures, acts of God or routine maintenance, availability may be limited and/or information may be lost on the site. IJGRR shall not be liable for lost information or non-availability of the services on this site, whereas, IJGRR tries for digital archiving on other site to preserve published contents. You hereby agree to indemnify, defend and hold IJGRR, its directors, officers, shareholders, parents, subsidiaries, affiliates, agents and licensors harmless from and against any and all liability, losses, damages and costs, including, without limitation, reasonable attorneys' fees, arising from your use of the Site or Content. These terms and conditions shall be governed by and construed in accordance with the laws of Nepal, without regard to its conflicts of law principles. You hereby submit to and agree that the sole jurisdiction and venue for any actions that may arise under or in relation to the subject matter here of shall be the courts located in (Birgunj-Nepal).